Pride in Service, Integrity in Action. Curry County hereby gives notice of its intent to award the above-referenced contract to the apparent low responsive responsible bidder: Adroit Construction. The contract is scheduled to be awarded by the Board of Commissioners on Wednesday April 24, 2019 at its general business meeting which will be noticed per Oregon public meetings law. Click here for more details. Curry County is requesting proposals for a consultant to work with the County Board of Commissioners, Elected Officials and Department Managers to develop a Strategic Plan for 2019 and ten years beyond. Proposal due date and time is May 1, 2019 at 4pm PST. 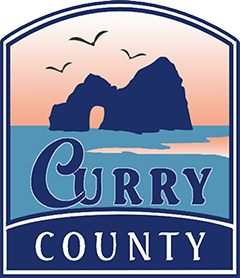 The Curry County Sheriff’s Office is taking back unwanted prescription drugs April 27th at the Curry County Sheriff’s Office Substation at 16350 Lower Harbor Rd, Suite 203, Brookings & at the Curry County Sheriff’s Office at 29808 Colvin St, Gold Beach.